Get ready to celebrate your new life together! These pretty pastel Invitations are the perfect way to let your guests know about the big day. 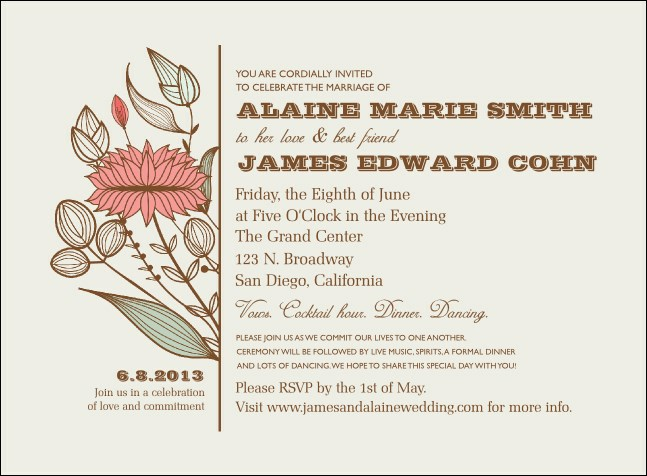 Featuring nineteen lines of text on the template to list all your event details and a contemporary floral design, Wedding Flower Motif Invitations is the smart way to get your guests to mark their calendars. Start your new life with TicketPrinting.com.